30+ Damning Pictures That Prove Some Companies Just LIE To You! Let’s be honest, I think no one is under the illusion that any big, wealthy, corporate company is out to help anyone? They’re making, marketing and selling their products for one thing and for one thing only…cool, hard moolah! Dollars, money, cash! That’s what it’s all about for big business, right!? Well, that’s all fair and good to me, you gotta make a living somehow…but when companies are deliberately trying to deceive, rip you off or LIE TO YOU, then that really boils my urine! If you’re going to charge ‘x’ amount of money for a product, at least let it be genuine and not a total pee taker! I’m really, really confused…what? 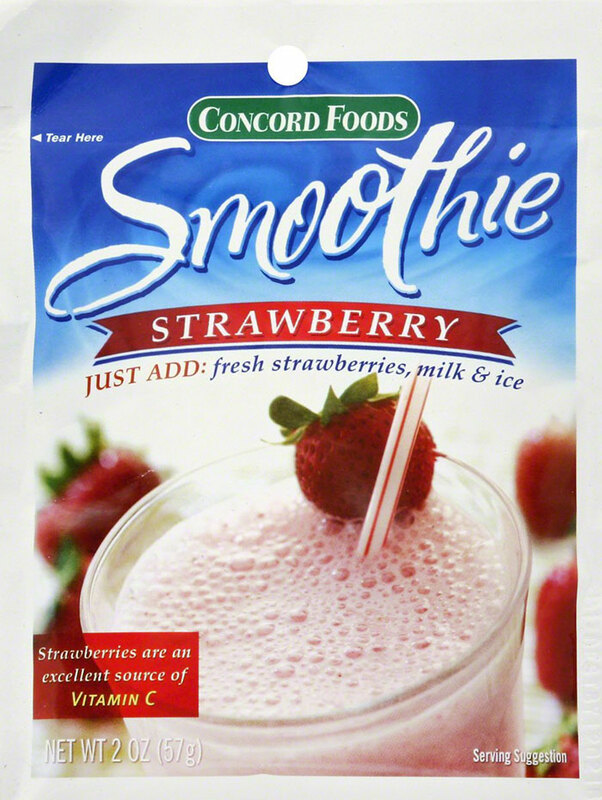 Just add fresh strawberries, milk and ice!? ISN’T THAT ALL YOU NEED TO MAKE ONE YOURSELF!? What are they actually selling here, then? I need to see inside that packet…I’m thinking it would just be some kind of pink sugar because there’s nothing else left to add! & I love the smug ‘strawberries are an excellent source of VITAMIN C’ message on the packaging…when what’s inside CLEARLY DOESN’T CONTAIN ANY!!! 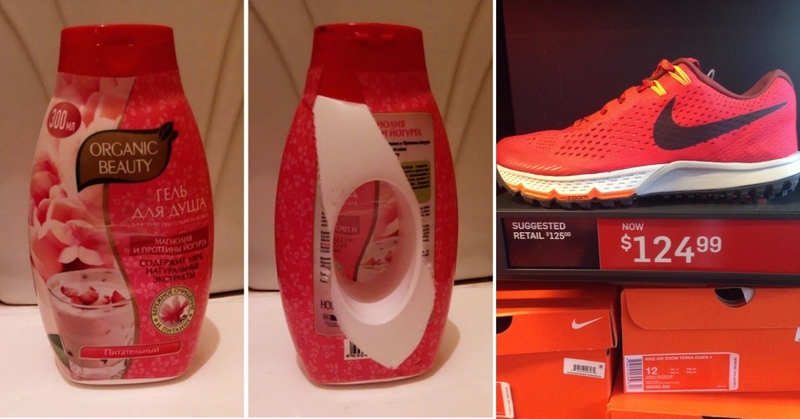 We get why companies do this with packaging – it’s to make the packaging look bigger, while using less. It’s one thing if it’s obvious to the buyer, but attempting to hide it like this is just downright disgraceful. I can’t believe the nerve of these shady, shampoo stealing, rationing b*st*rds! Organic beauty, you need to be ashamed of yourselves.